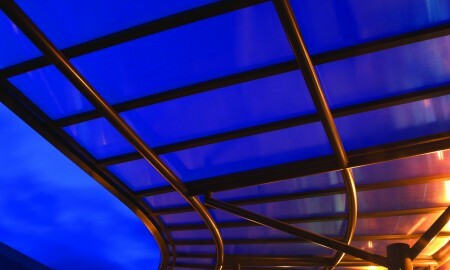 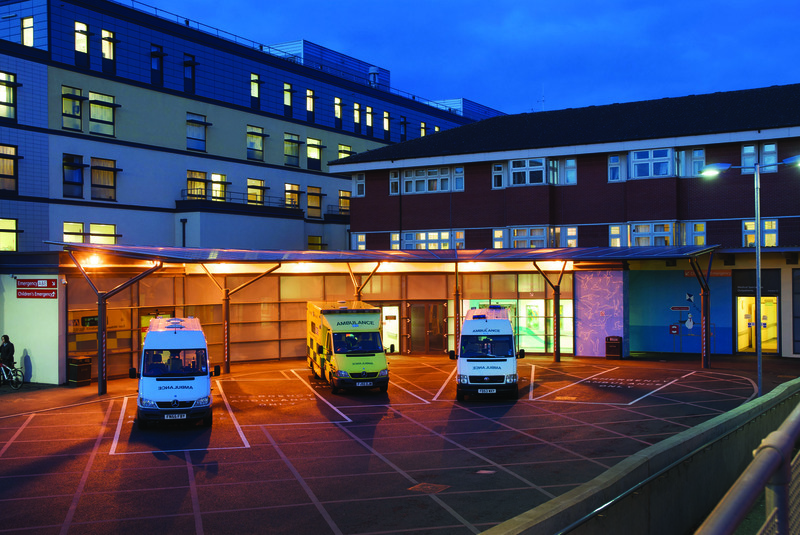 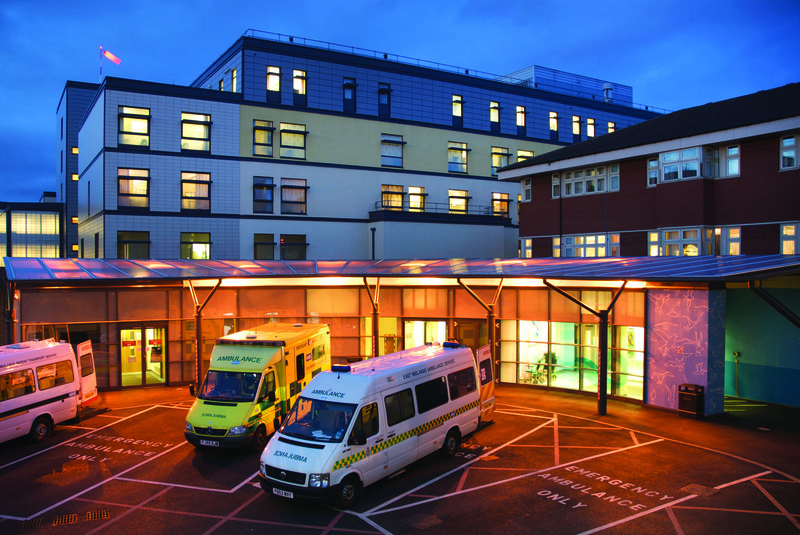 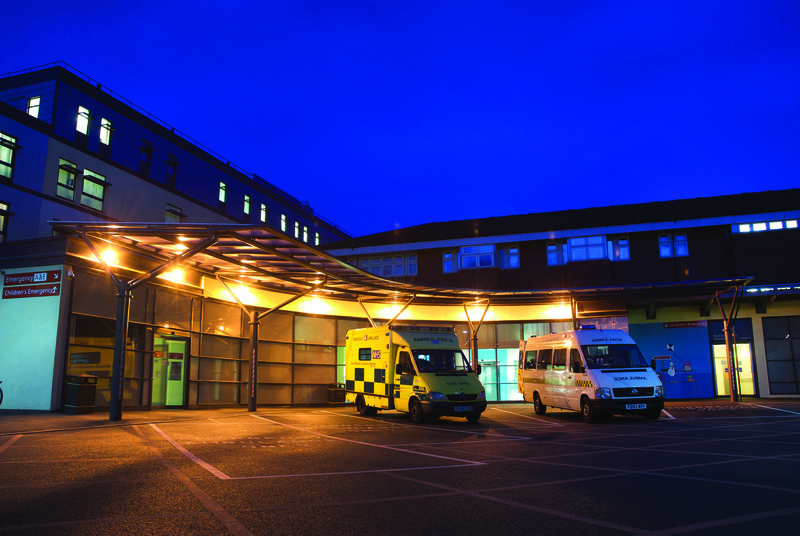 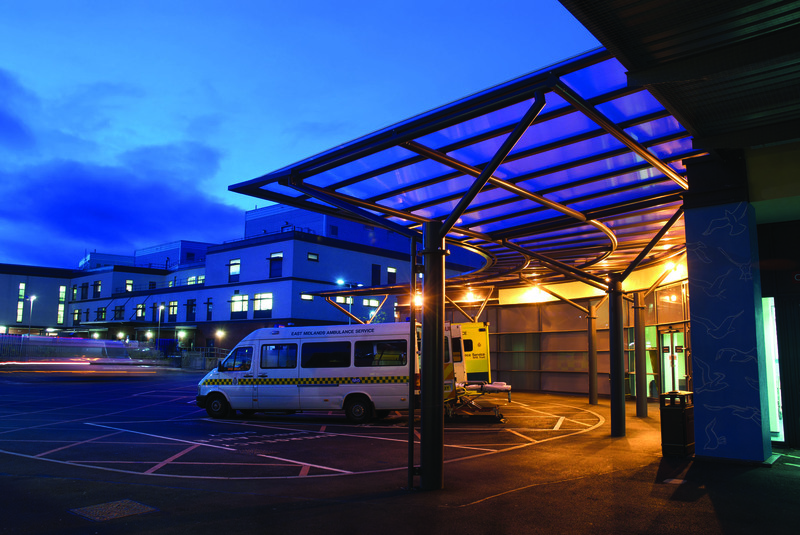 A curved cantilevered canopy was installed to provide much needed weather protection to arriving casualties outside this busy A&E department. 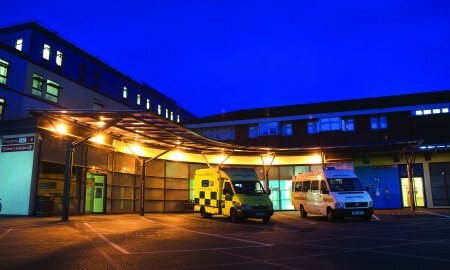 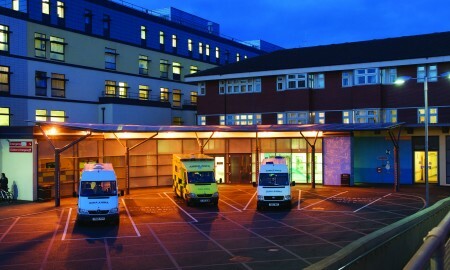 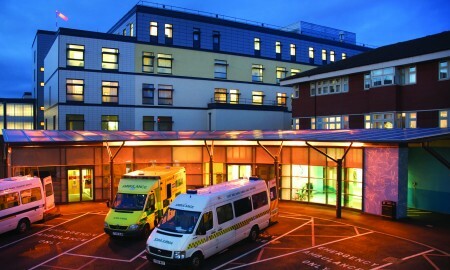 Although simple in concept this design solution proved to be very challenging in the design phase having to follow the irregular building profile, rationalise the working envelopes of ambulances and patient gurneys, achieving a weathered detail to a glass fronted building and accommodating existing doors and parking layouts to satisfy the ambulance allowance. 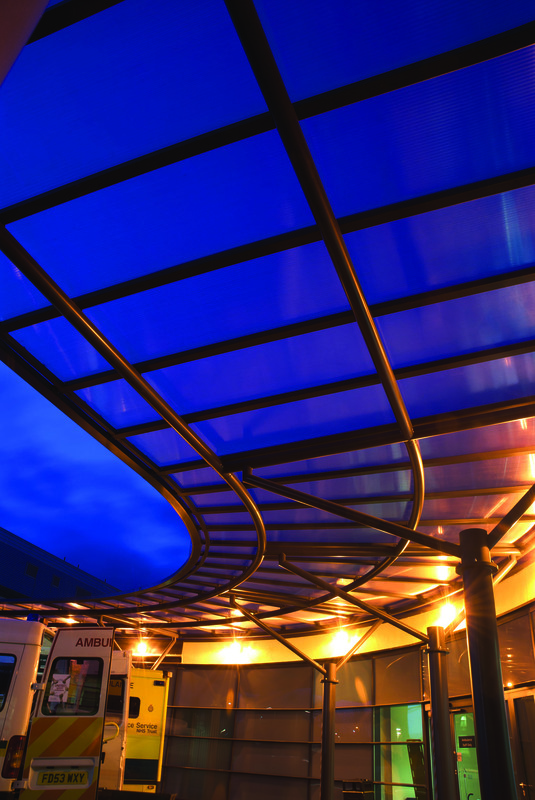 The cantilevered design successfully achieved the above whilst maximising the available space for both public and vehicular traffic, managing to retain both a working pavement and highway.